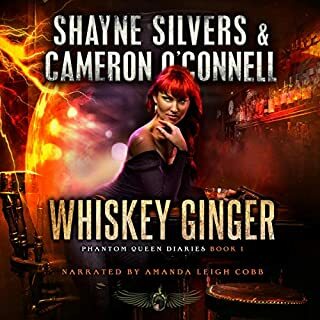 I really liked Amanda Cobb's performance for this book. I usually have problems with "hearing" an accent when I am reading. Listening to this book really helped me to get Quinn's voice in my head. Quinn is a great addition to the Temple Verse. Cameron O'Connell has successfully written a story that can stand alone but fits really well in the work of Nate Temple. I did have a heard time getting into this book. But I can see the potential of where Quinn is headed, especially with crazy and mixed mind of Shayne Silvers driving this bus.